We are a local father/son team dedicated to providing quality used appliances for the Upstate community. 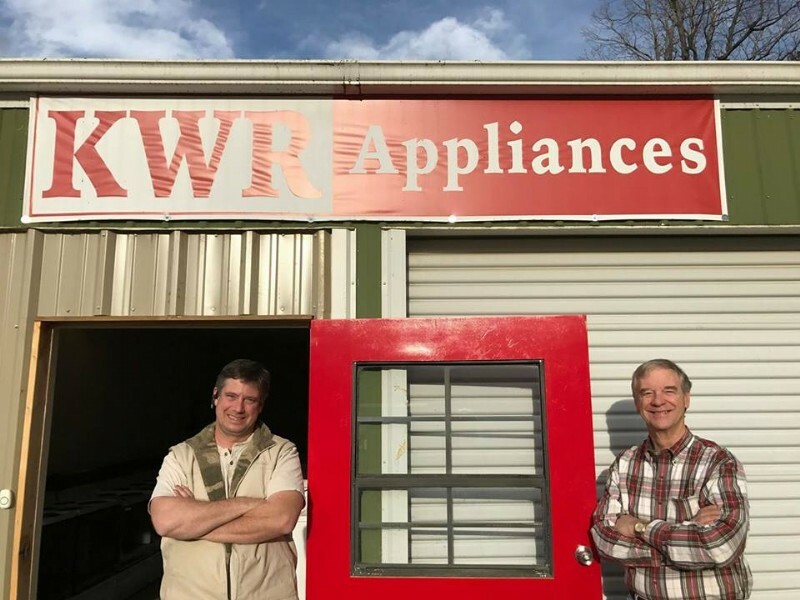 Located in Greenville, KWR Appliances has a warehouse full of refurbished refrigerators, stoves, washing machines and dryers. If you are looking for one appliance or a property manager looking for appliances in bulk, KWR looks forward to helping you. We deliver and all appliances come with a 90-day warranty. KWR Appliances is always looking for new inventory. We purchase used washers, used dryers, used stoves, and used refrigerators in single pieces and bulk quantities. Don't give your old appliances away or pay disposal fees when you buy new ones! Property managers please keep us in mind as a means to dispose of your old appliances during your next renovation project. Just send a few pictures with a description to rob.tope@gmail.com. Let's Help Reduce The Heap! Also, if you have an old unused appliance, there are many creative ways to reuse some or all of the parts. KWR Appliances encourages you to GO GREEN!